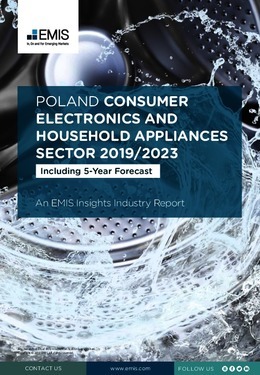 The consumer electronics and household appliance manufacturing subsectors play a key role in Poland’s economy. Their combined GVA in 2017 was equal to 1.1% of GDP and 6.2% of manufacturing GVA. Between them, the two subsectors employed 165,083 people in 2017 – or 2.6% of total employment in the Polish economy. This report provides a complete and detailed analysis of the consumer electronics sector for Poland. EMIS Insights presents in-depth business intelligence in a standard format across countries and regions, providing a balanced mix between analysis and data. Gain an understanding of the regulatory environment for the sector in Poland.